Is there such a thing as a gifted preschooler? Young gifted children — even four- and five-year-olds — are often hungry to make sense of the world in ways we may not expect from most preschoolers and early elementary students. These children desire to exercise and expand their minds intellectually and creatively. Children who thrive in an environment specifically designed to challenge them at their level and to teach them at an accelerated rate, of course have come from somewhere, and have not suddenly “become” gifted overnight just before beginning Kindergarten. Rather, having been gifted since birth, they have been busily feeding their hungry minds — and, most likely, exhausting their parents — with their bottomless curiosity and thirst for novelty and for ever more knowledge. 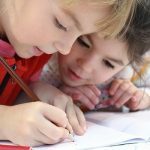 Our experience with the very youngest Kindergarten students demonstrates that their needs can be met in an environment equipped with teachers trained in gifted education who are attuned not only to their intellectual capabilities, but also to their unique social-emotional development. For these youngest learners, these two developmental trajectories are especially tightly-linked: their intellect is the “long pole in the tent” of their identities, even at a young age. While comments like this are common and even understandable, research confirms that the needs of gifted children are very different from the needs of typical children, and that those differences exist from the very beginning of their lives. Indeed, our experience at Grayson confirms this understanding, perhaps most clearly with precisely the children at issue. 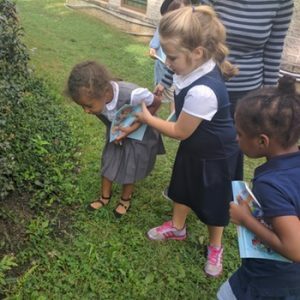 In our Kindergarteners, it is evident from the very beginning of the school year that they are not only ready for, but hungry for, challenging intellectual engagement. It is highly unlikely, therefore, that their needs were radically different only a few months prior, when they left preschool. The most important step is not to make assumptions about the child’s level of accomplishment based upon age or upon grade, but rather select test materials that will permit a young child to demonstrate high-level skills in a variety of areas. To begin at the beginning, there are those who doubt the very existence of such a creature. Ask the parent of a child who is well ahead of developmental milestones, though, and you will quickly discover that, yes, they exist. In fact, “more than 80% of parents can identify their child’s giftedness by age 4 or 5,” according to Joan Franklin Smutny, Ph.D., in her book, Teaching Gifted Children in the Regular Classroom. 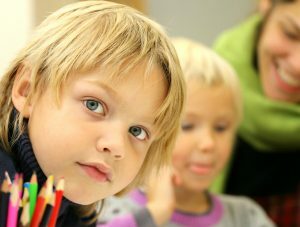 Like all gifted children, they are by definition a very small proportion of the population (generally in the top 5% in intelligence). Preschoolers whose giftedness is identified are a rare breed even within that very small group, because they have not yet been to school and an educational professional is therefore not usually the one to call attention to their needs. Instead, parents are generally the “canaries in the coal mine” for these children: they notice that their child can recognize and name all the letters; or knows all the shapes and colors; or can already count to 20 and knows basic addition — and they become aware that they have a child on their hands who is clearly outside the norm. A child who is reading, for example — truly reading, with comprehension — at age three, is clearly intellectually advanced well before he or she sits for an IQ test. Can we actually identify them? They can be rattling off the price of the green beans they notice from the seat of the shopping cart one minute and having a tantrum because their mother did not buy the cookies they wanted the next. We often jokingly remark that perhaps the best place to find gifted preschoolers is the grocery store: they are the ones reading all the signs, or talking about prices and money, or asking why the strawberries come from Colombia (and where is Colombia, anyway? and how do they get here? and do they have to go to the airport like we do? and does that mean that the strawberries speak Spanish? etc.). A review of the literature yields the following characteristics of gifted children of preschool age: alertness in infancy; faster pace in reaching developmental milestones; interest in the alphabet and symbols; early language development, including advanced vocabulary and complex speech patterns; intense curiosity; sustained attention; abstract thinking; excellent memory; early reading; early development of empathy; emotional intensity/sensitivity; and a mature sense of humor. While these characteristics are undoubtedly useful in identifying these children, there are also actually formal psychometric instruments which can be used to measure intelligence even in the very young. 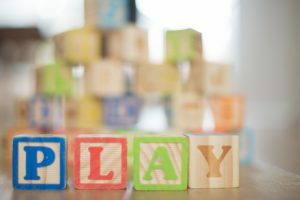 Perhaps the most commonly used IQ test is the Wechsler Preschool & Primary Scales of Intelligence (WPPSI), which is designed and normed for children ages 2.5 to 7.6 years old and has been in use for 50 years, but the Stanford-Binet V, Woodcock-Johnson IV, and other tests are also used for children as young as 2, so there are reliable, valid ways to measure intelligence in children of preschool age. What do they need from school? Highly gifted minds can consume large amounts of information in one gulp, and they thrive on complexity. Giving these children simple bits of information is like feeding an elephant one blade of grass at a time — he will starve before he even realizes that anyone is trying to feed him. A gifted preschooler needs many of the same things that typical preschoolers need from their first experiences with school: time to play, to rest, to read, and to explore. They need to learn how to play with others, to share, to be part of a group, to wait their turn, and to be a friend. An awareness of their stamina is critical: providing instruction on their level, at their pace; opportunities to explore topics of interest in depth; social-emotional support;intellectual and social peers; and flexibility in what and how they learn. Every child deserves to learn something new every day. Let us know if you can attend our Pre-K Play Date and Open House on Wednesday, October 3. In this informational session you will learn of the latest research in early identification of giftedness, our philosophy and details on our Pre-K program opening January 2019, all while your child participates in a play date at our school. Parents, pediatricians, therapists and others who work or advocate for gifted children are welcome to attend.